A new 25-foot-tall statue of an Afro pick now stands outside The Africa Center in East Harlem, New York. All Power to All People, created by conceptual artist Hank Willis Thomas, was erected last Friday in its temporary location on 5th Avenue. 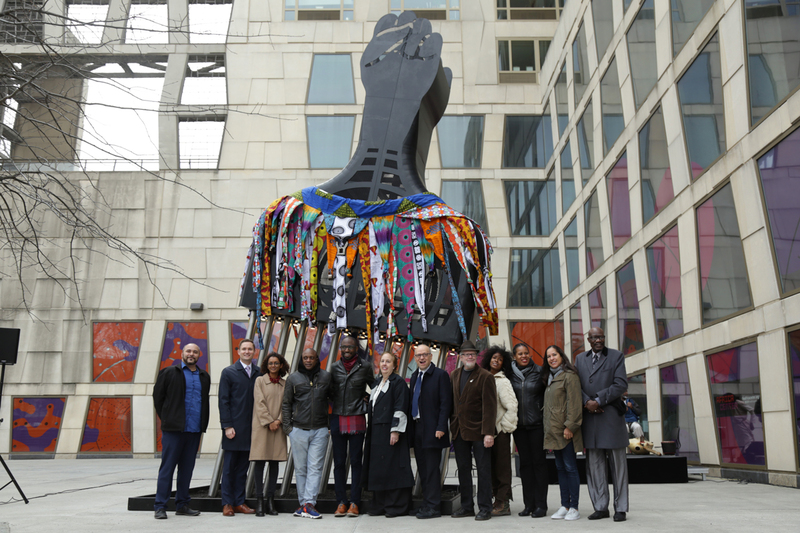 Designed in collaboration with the Kindred Arts cultural equity initiative, the steel sculpture is intended to honor and celebrate cultural identities of the African diaspora. Thomas worked with fabricator Jeff Schomberg to imagine the larger-than-life Afro pick, which sits at an angle on a black podium and features a handle in the outline of a clenched fist. The design is an iteration of Thomas's 2017 sculpture made with Monument Lab in Philadelphia for Thomas Paine Plaza. In connection with the Afro pick’s distinct cultural and political identity, the piece symbolizes the strength, comradery, and perseverance of the African-American community, as well as the ongoing pursuit for equal rights, justice, and belonging. Marsha Reid, executive director of Kindred Arts and producer of the project, noted the important location of the installation. “Representation matters,” she said, “and this monumental art is placed here at The Africa Center in the heart of the community, with the purpose of inspiring conversation and facilitating a space where communities might affirm cultural citizenship and freely express identity.” All Power to All People will be on display through July 7, 2019, in the public plaza outside The Africa Center at 1280 Fifth Avenue in New York City. 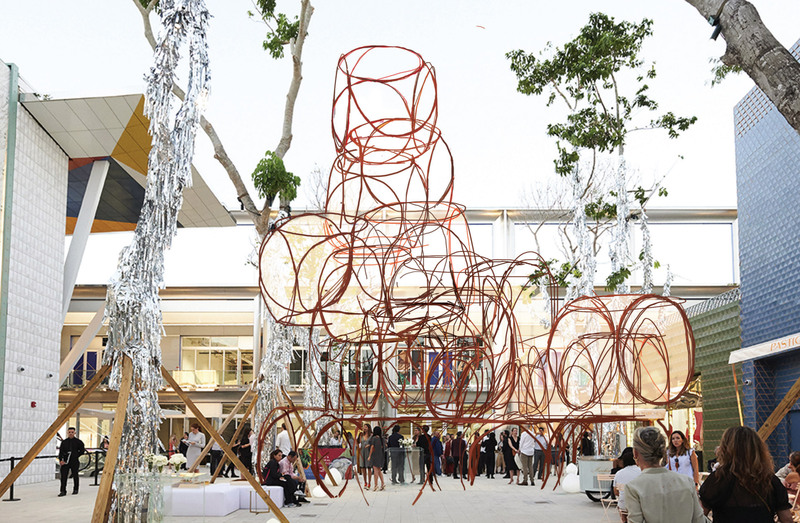 A slew of public programs will coincide with the monumental installation. For more information, visit The Africa Center’s website. The Metropolitan Museum of Art’s flagship Beaux-Arts facade on Fifth Avenue will soon host art for the first time in the building’s 115-year history. Installing work along the museum’s historic frontage is part of a larger slew of contemporary art exhibitions announced by the institution last Thursday. The move to display new pieces, some of them site-specific, is a clear effort by the museum to fill the void created by winding down its presence at the Met Breuer. It was announced last September that the Met would be vacating the brutalist Breuer building in 2020, only four years after its renovation and rebranding, so that the Frick Collection can temporarily continue to operate there while its flagship house-museum undergoes an upgrade. From September 9 through January 12, 2020, sculptures from Nairobi-born artist Wangechi Mutu will adorn the facade's niches. 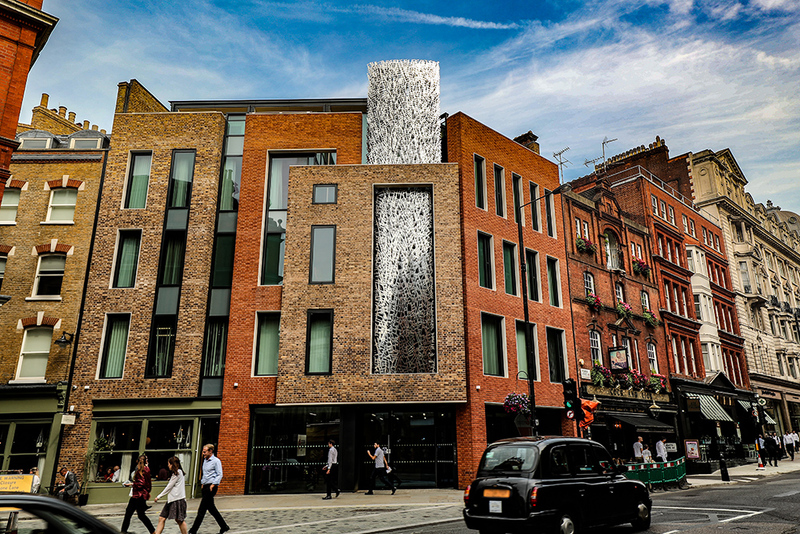 Mutu’s designs will be the first in a newly-announced annual series of installations along the building’s stone facade, which was completed in 1902 by architect Richard Howland Hunt. Although Mutu's exact sculptures have not been revealed yet, her work has previously used collage to touch on elements of diaspora, African culture, and inequality. Additionally, Canadian Cree artist Kent Monkman has been tapped to create enormous, site-specific new paintings for the museum’s Great Hall, which will be on view from December 19 through April 12, 2020. Multidisciplinary Icelandic artist Ragnar Kjartansson will also premiere Death is Elsewhere, an immersive multi-channel video installation in the Robert Lehman Wing atrium, from May 30 through September 2. 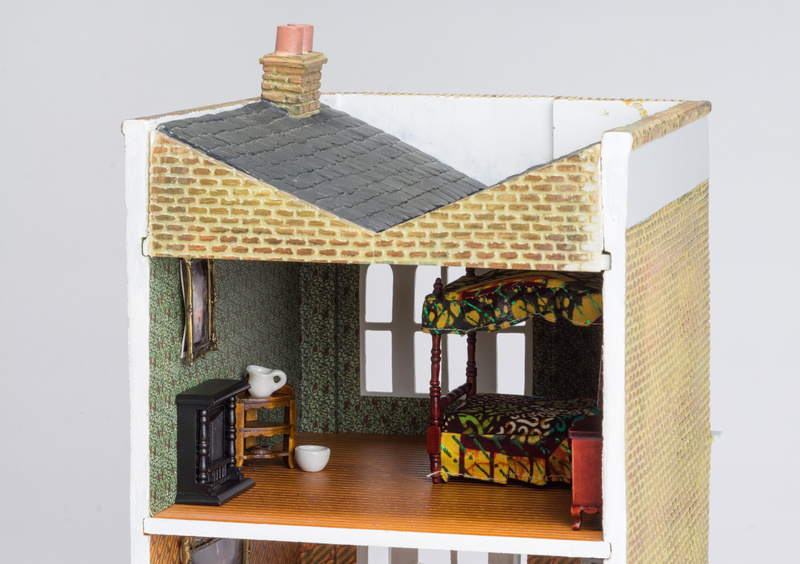 Other than marking a shift towards highlighting contemporary and new pieces, the three exhibitions also make greater use of the Met’s building itself to display them. 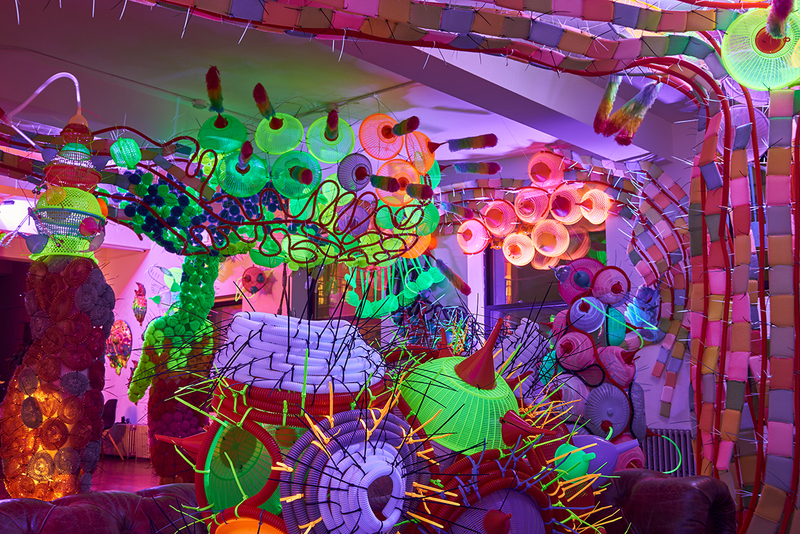 "Artists have long engaged with The Met's collection, drawing connections between contemporary practices and 5,000 years of world culture," said Max Hollein, Director of the Met, in a press release. "These projects are a manifestation of The Met's desire and ability to collaborate with artists and current artistic production in an unusual way. 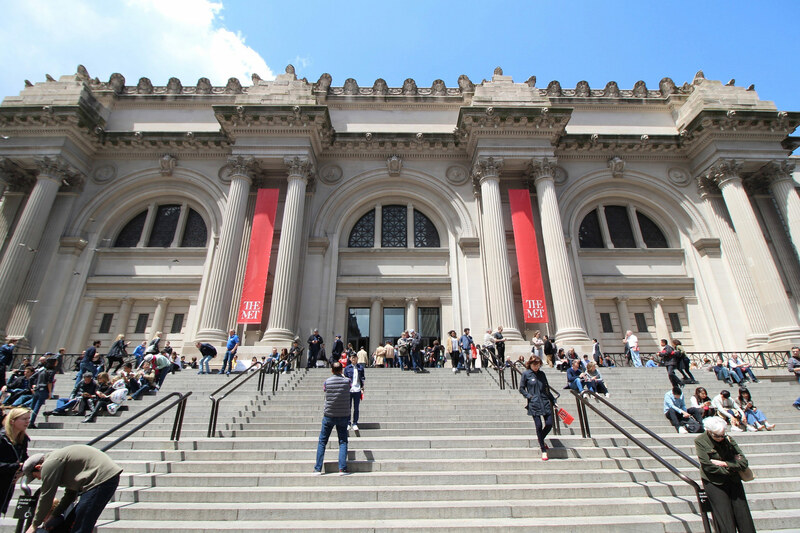 The Met itself, the building, and its public spaces will become temporary platforms for presenting new work, offering powerful opportunities to display contemporary art for our broad audience to experience." Last year, New York City’s Parks Department announced plans to build a statue honoring women’s suffrage movement leaders Susan B. Anthony and Elizabeth Cady Stanton. The monument, designed by sculptor and human rights activist Meredith Bergmann, will be the first non-fictional female statue in Central Park. In a city where roughly 90 percent of its public monuments depict men, Bergmann intended for the sculpture to celebrate women and pay homage to those who actively fought for women’s rights, yet since it's unveiling, the piece has been met with a wave of online controversy over its subject. In January, the New York Times noted that women’s rights activists and historical scholars were among the first in recent years to call out Anthony and Stanton’s problematic history with race and more specifically, their focus on white women’s suffrage over voting rights for all women. Both figures were prominent abolitionists, but the passing of the 15th Amendment created a huge rift between those who fought for black men’s rights and those who strived for women’s rights. The frustrations voiced by white women like Anthony and Stanton, who were told to “wait their turn” as black men won the right to vote following the Civil War, often conveyed distasteful, racist undertones, according to History.com. In 1866, the two women formed the American Equal Rights Association (AERA) with Frederick Douglass, an organization whose goal was to grant equality and voting rights for both women and African Americans. But after just three years, the AERA disintegrated over debates about whether to support the 15th Amendment. The Villager wrote that at a 1869 convention, Stanton delivered a hateful speech filled with "classist, racist, and xenophobic" remarks against former slaves and immigrants, saying that uneducated and illiterate men should not be making laws for affluent women’s suffrage leaders. Bergmann, while aware of Stanton and Anthony’s shortcomings, created the sculpture to recognize their tireless efforts to mobilize an entire country toward acknowledging women as a powerful and resilient demographic. “It’s unfortunate that these two women did not transcend those prejudices,” Bergmann said in an interview with The Villager. “These things should be brought to light for sure.” The statue will feature a lengthy, 22-foot-long scroll, which will recognize the contributions of African American women, such as Mary Church Terrell, Sojourner Truth, and Ida B. Wells, who helped promote the advancement of all women’s rights. Bergmann told The Villager she hopes the presence of these black, Latina, and white women's names will "mitigate the [widespread and common] prejudices of Stanton and Anthony." 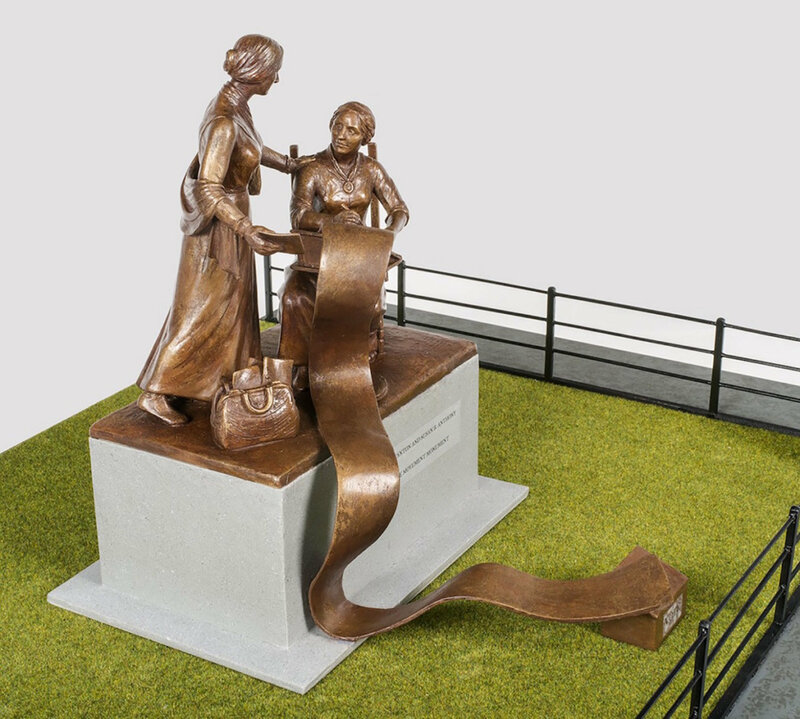 The monument will be installed on Central Park's Literary Walk next year on the 100th anniversary of the 19th Amendment's passing. Nonprofit to document publicly-owned sculptures in the U.K. There have been a number of projects to digitize culture as of late. More and more museums are putting their collections online, and there are, of course, the many projects of Google Arts & Culture, including the company's recent experiments 3-D printing historic sites. Now, all of the United Kingdom's publicly-owned sculptures that have been made in the past millennium—some 150,000 of them—are going online. Art UK, which has previously worked to get oil paintings documented and accessible online, estimates that most of the country’s sculptures have not been previously photographed, at least in any systematic way, and that only around one percent of the country's public collections can currently be found online. With nearly £4 million in funding secured, the nonprofit's new project brings to light the many sculptures that stay tucked away in storage, as so many works are, exposing them to people across the world through a web platform. The nonprofit's staff, joined by photographers and volunteers, will be traveling across the U.K. to document sculptures from around the world, though they will only focus on those that were made over the past thousand years and are in the U.K.'s public collections or in significant private partner collections, such as those at Oxford and Cambridge. The documentation acts as a critical intervention in preserving and protecting cultural heritage, especially considering that the majority of these works are located outside and are subject to the elements and vandalism. To help organize all these works and all this information, Art UK invites users to join its Tagger platform, which was created along with Citizens Science Alliance, a group based in the astrophysics department at the University of Oxford, and with staff from the art history department at the University of Glasgow, to allow volunteers to help organize, describe, and make searchable hundreds of thousands of artworks. Part of Art UK’s mission is to show as much of the national art collection as possible, an objective that doesn’t end with the online index. Alongside the digitizing project, Art UK is embarking on various engagement projects, including “60 sculpture-related films” being created “with and by young people.” The nonprofit will also be taking 125 sculptures into schools. You can now view the first 1,000 cataloged sculptures, including everything from outdoor modernist works by Henry Moore, a dollhouse by Yinka Shonibare, 19th-century buddhas, 15th-century bishops, and a wide array of public architectural fixtures. Robert Murray: Sculpture Jonathan D. Lippincott Design Books $65.00 List Price Some sculptors have to think like architects. They need to consider the actual weight of a work and whether it might wind up crashing through a floor or compromising a foundation. There are the issues of balance and whether something weighing a few tons and defined by curves and cantilevers will remain in place on its own or roll off its plinth. There are also the concerns about the best angles from which to view a finished sculpture and how it will age, especially if positioned outdoors. And once it is erected and set in place, what about the resulting shadows or reflective light? As Jonathan Lippincott, the noted book designer and independent art curator, reveals in his new book, Robert Murray: Sculpture (Design Books), the first such monograph to chronicle the artist’s oeuvre, Murray learned about weight and scale through practice. When Murray first began making some of his large-scale works in his apartment on East 22nd Street in Manhattan in the early 1960s, they were so heavy and tall that they compromised the very structure of the building. Of one such early work, Ceres, a seven-foot-high plaster sculpture, Murray said: “I had it right in the middle of the room, and I put supports out from underneath the bottom lip of it to try to distribute the weight, but it didn’t quite work. One day there was a pounding on the door and a very nice couple from downstairs demanded to see what I was up to, and I guess my floor sagged so badly that their ceiling cracked and plaster was raining down in their living room.” The comment from Murray is one of many in Lippincott’s book that reveals the artist’s sense of humor, a characteristic much welcomed in an otherwise scholarly art book. Lippincott has obviously been careful to reveal—and revel in —Murray’s playfulness. As a result, this may be among the most refreshing and entertaining books to read about any sculptor, living or not. Lippincott’s book also manages to right an aesthetic wrong. While fantastically prolific and influential, Murray doesn’t seem to have won quite the same name recognition of some his contemporaries, like David Smith, Tony Rosenthal, Louise Nevelson, and Barnett Newman. Lippincott’s book will surely reintroduce and re-establish the still-active Murray as one of the very best practitioners of contemporary sculpture. And the book’s examples of Murray’s candor and wit will only heighten the artist’s appeal. As Murray recounts about his early days as a young artist from Saskatoon suddenly immersed in the New York art world: “I always joke that it’s lucky my liver was as young as it was when I got to New York or I would have been dead a long time ago.” Although Lippincott’s monograph is visually-driven, it includes an engaging, lengthy biographical text about Murray, as well as a candid, chatty question and answer between the author and his subject. The two appear to have forged an affectionate rapport. We learn about Murray’s Canadian boyhood, his inspirations for the monumental works of art, and the process of making those sculptures (some sixty of which were made at Lippincott, Inc., the Connecticut-based fabricator of monumental works of sculpture, founded by the author’s father). But what resonates throughout the book is Murray’s collaborations with and respect for architects. There was a time not so long ago when art and architecture were more closely aligned. Lippincott describes, for instance, the Percent for Art program that flourished in the U.S. and Canada in the mid-1960s, whereby, according to the author, “one percent of the budget for any new building would be dedicated to purchasing artwork…an unprecedented amount of funding to purchase and commission artwork for government buildings and public spaces.” Murray’s large-scale abstract (some would say minimalist) sculptures were coveted by architects of the time. I.M. Pei, for instance, commissioned Murray for a massive work (Shawanaga) to occupy the plaza of Pei’s Everson Museum of Art in Syracuse. 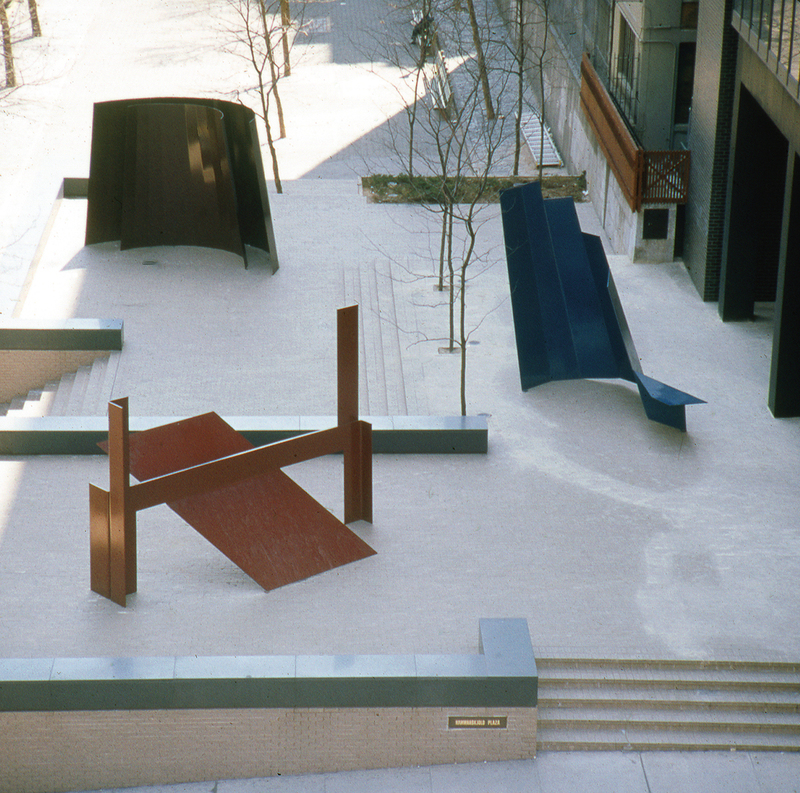 For a 1968 group show of sculptures at the then-new Boston City Hall, a Brutalist edifice designed by Kallmann, McKinnell, and Knowles, Murray was invited to include what is now one of his iconic works, Windhover. “The only bad part of it all was the new city hall, which wasn’t a very attractive backdrop,” he told Lippincott. “But it was a nice plaza, a good space, and that show got a lot of attention.” Murray’s relationship with architects and architecture began early. In 1958, at the very start of his career, he received a commission from a local Saskatoon architect to fashion murals composed of mosaic tiles for a new government building. Barnett Newman collaborated with Murray to create an imagined, or conceptual, synagogue that Newman described as being “organized like a baseball diamond, the rabbi on the pitcher’s mound, the men in the dugouts, and the women in the bleachers.” Murray designed two models for the project, one of which was exhibited at a show at the Jewish Museum in 1963 organized by Richard Meier. And in his native country, the Royal Architectural Institute of Canada awarded him their Allied Arts Medal in 1977. As Lippincott emphasizes, “The award recognizes artists or designers in Canada who create work intended to be integrated with architecture, and Murray was one of the first artists to receive this award for contemporary sculpture.” Both Lippincott and Murray are adept at describing the architectural aspects of the sculptures. Of Murray’s Breaker (1965), Lippincott lovingly relates the structural issues in such a way that the piece can almost be envisioned without seeing it: “[Breaker] consists of two arcs that are almost identical; one extends beyond the other, providing a point of contact with the floor, adding stability to the work and extending its energy.” Because of this book, Murray reputation as a great sculptor will endure. That reputation rests particularly on his public artworks, many of which are positioned with notable works of architecture. But as Murray said to Lippincott, “Until the public starts making it, it’s not public art, it’s private art put out into public situations.” With Lippincott’s fine book, we now have the definitive visual and chronological map for finding Murray’s works and enjoying them in public settings. Murray can be experienced in person on April 7 at the David Richard Gallery, 211 East 121st Street, New York. The gallery will present a solo exhibition of Murray’s large sculptures and two-dimensional artworks, with an opening reception on April 7 at which both Murray and Lippincott will be present. The show runs through May 5. Opening today, Breaking the Box is Sebastian ErraZuriz’s inaugural exhibition at New York collectible design gallery R & Company. On view until March 9, the show presents a curated selection of the Chilean-born, New York–based designer’s functional sculptures, as well as new works from his Mechanical Cabinet series. ErraZuriz's approach transcends disciplinary boundaries. 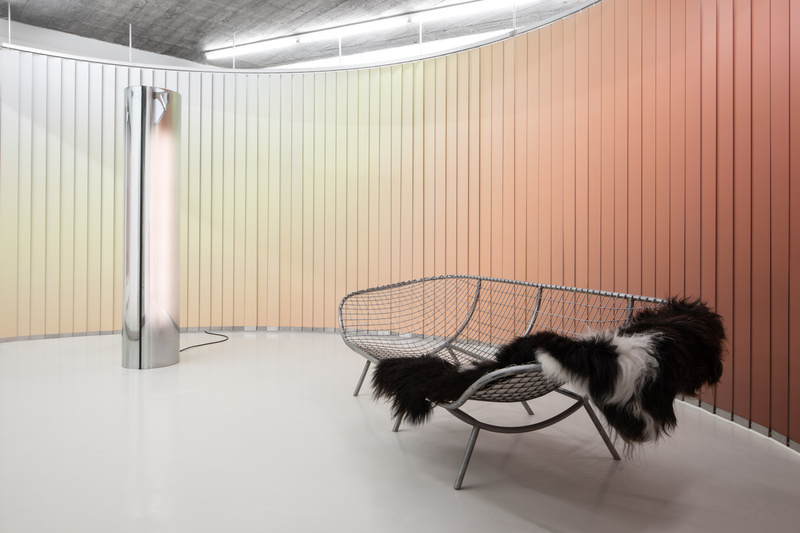 His projects range from public art to interior architecture, experimental furniture, and product design. Whether it's a large video installation in Time Square, women’s shoes, or a shelving unit held up by 3-D-printed reproductions of ancient Greek and Roman busts, ErraZuriz’s designs always contain an element of surprise. The multifaceted talent employs a diverse set of technical skills, material knowledge, and aesthetic styles to produce works that challenge the standards of function. ErraZuriz’s Mechanical Cabinet furniture series is an ongoing project reimagining how people perceive and interact with this type of object. For the latest additions to the series—debuting as part of the Breaking the Box exhibition—the designer utilized traditional woodworking techniques and hidden spinning mechanisms. Though they appear to be simplistic boxes at first glance, the new works can be transformed into modular credenzas and cabinets. While the Fan Cabinet's flexible slat surface opens into concentric patterns, the Grand Complication piece unravels like a Russian nesting doll. 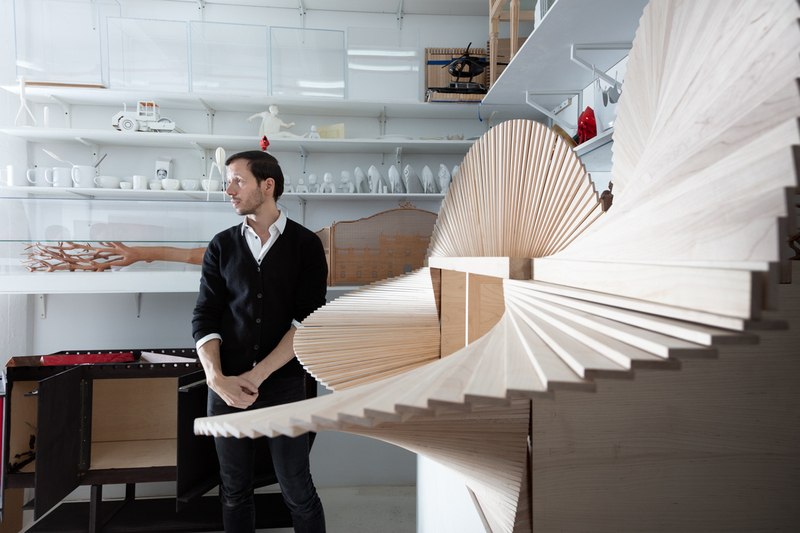 Fan Cabinet by Sebastian ErraZuriz, 2018 from R & Company on Vimeo. The Grand Complication by Sebastian ErraZuriz from R & Company on Vimeo. “We tend to understand reality by constraining meaning into closed and simplified boxes defined by previous cultural conventions. We live within these pre-established cognitive borders, where we only tend to see, recognize and accept as true, that which has been previously ordered and defined,” said ErraZuriz. "In Breaking the Box, I use art, design, and craft to break open our relationship to objects, beauty, and time, in order to reconsider conventions." Atelier Van Lieshout is bringing its signature architecture-scale, dystopian sculptures to New York this spring. 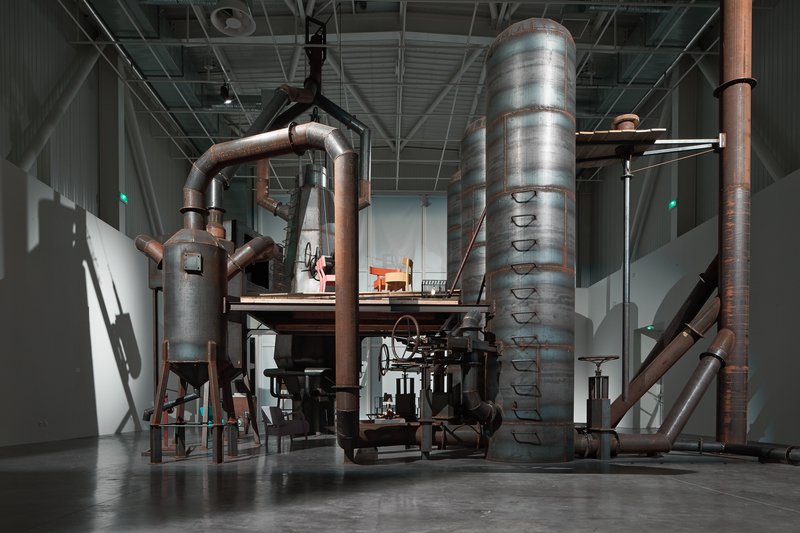 Starting March 1, Pioneer Works in Brooklyn will host The CryptoFuturist and The New Tribal Labyrinth, described by the art space as "the first large-scale exhibition of work by Atelier Van Lieshout (AVL) in the United States." AVL is known for its provocative pieces, including one that proved too controversial for the Louvre in 2017. The collective's works often take the form of fantastical machines that exaggerate or satirize capitalist and industrial practices. For the Pioneer Works show, AVL will display Blast Furnace, a work from 2013 comprising a 40-foot-tall mix of industrial hardware that a family supposedly lives inside of. The work is apparently "inspired by a desire to the return to industry" in the face of changes to the nature of work in the 21st century. Other works in the show riff of Italian Futurism and link aspects of the movement to the seeming resurgence of fascism today. The CryptoFuturist and The New Tribal Labyrinth will be on display at Pioneer Works from March 1 through April 14.